Selling exhibitor spaces is a large part of organising your exhibition. The more exhibitor spaces that you sell, the more money that you ultimately make from your exhibition. Your exhibition will also continue growing and become quite successful. 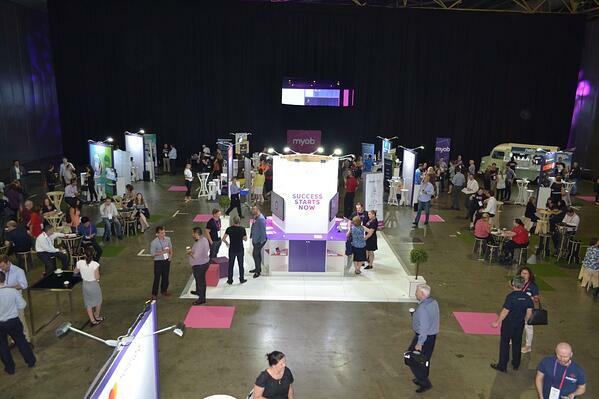 Most organisers don’t consider how their floor plan impacts exhibitor space sales. The reality is that the way you choose to approach the floor plan of your exhibition will impact on your sales results. There are two types of selling techniques for exhibitions, there is selling from a floor plan, where you will have a floor plan designed using the dimensions of the venue and your ultimate goal number of exhibitors; and there is ad-hoc selling where you sell space to exhibitors without a plan of where they may be located within the venue during your exhibition. There are some benefits and consequences to both selling techniques, and the technique that best suits your exhibition will depend on your exhibition goals and the team you have to support your sales efforts. Below you will find the two different selling techniques and the pros and cons, so you can determine which selling technique will help you achieve your exhibition goals. This is the most common way to sell exhibitor spaces for an exhibition. The best way to succeed with this method is to arrange for the floor plan to be created after you have chosen your venue, usually by the same exhibition supplier you have chosen to assist with supplying your expo. This way if you need to make changes you are working with someone who understands any restrictions that may be placed on you and can also suggest the best way to lay-out your floor plan. Selling off a floor plan gives your team discernible goals that they are trying to achieve. They are aware of how many exhibitors that you want to attend the exhibition and are able to narrow their focus to exhibitors that would be able to add value to your exhibition. Having sales targets means that you can track how your team is performing with their exhibitor space sales, and you can make decisions on whether you need to change the floor plan to allow for more exhibitors within the space, or whether you need to change your marketing and sales efforts to increase the floor space sales. Having a floor plan allows you to visualise what your exhibition will look like. You will have a better understanding of where you may have big gaps due to missed sales. Having a floor plan allows you to work with your exhibition supplier to create the overall image for your exhibition. You can work with a standard grid if your venue allows, or if your venue space is tricky to navigate, a floor plan specific to the venue can allow you to get maximum exhibitors into the space. When selling from a floor plan, you will establish how many exhibitors you would like to attract to your exhibition, and how many people can be held in the venue space. Usually, a floor plan is created to allow for maximum exhibition spaces. If you sell out and then want to add extra spaces, there can be limited flexibility in facilitating this. It’s not impossible, but you need to be working with an exhibition supplier with a talented exhibition designer who understands floor plans well. If your team isn’t able to sell all the exhibitor spaces you will end up with empty spaces at your exhibition where there are no exhibitors. You may want to consider dressing these sites yourself, so that the exhibition doesn’t look too empty. A popular option is often to offer extra space to exhibitors who may be near any leftover space. This way you are extinguishing any possibility of having large gaps in your exhibition, but this option is only feasible if you have a few spaces leftover. If you have a large number of stands that you haven’t sold from the floor plan, you may need to consider changing your selling tactics or replacing the staff that are in charge of selling the exhibitor spaces. Having a floor plan with measurable targets makes this easy to track and allows you to make the necessary changes to get your exhibition sales back on track. Not having a floor plan before you start selling exhibitor spaces means that you will be selling ad-hoc. Depending on your exhibition, this may be a preferred method for a variety of reasons, and the advantages and disadvantages are outlined below. Having an ad-hoc sales plan means less pressure on your sales team to sell a required number of exhibitor spaces. This can help your sales team approach a wide variety of exhibitors who may benefit from exhibiting at your exhibition. 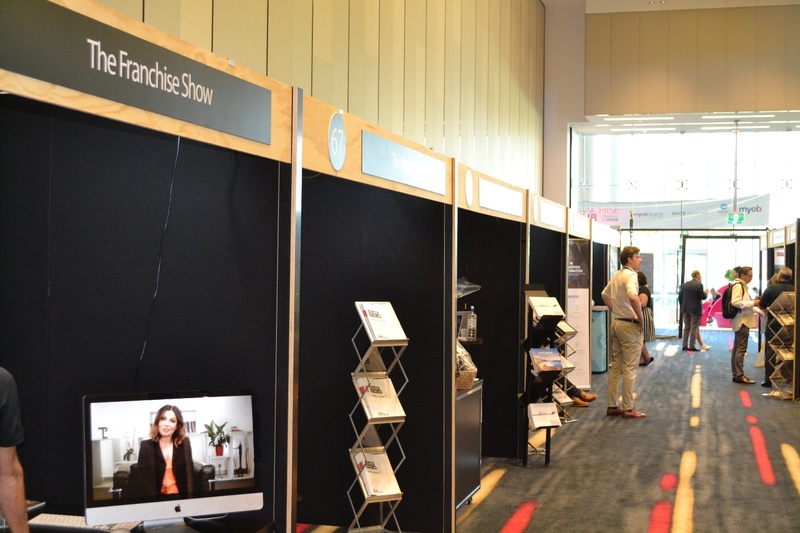 With the removal of sales pressure, your team is able to make more meaningful connections with potential exhibitors and also focus on different ways to help elevate your exhibition. Ad-hoc exhibitor sales allows you to change the floor plan as necessary depending on how many exhibitors want to exhibit with you, and the space requirements they have. Flexibility to change the floor plan makes adding things such as catering stations much easier than having a floor plan from the start and then attempting to add these things in. This kind of flexibility also means that you’re able to alter your space at the exhibition or centre exhibitors around a key feature of the exhibition. One of the largest negatives that can come from selling exhibitor spaces with an ad-hoc manner is that your team will not push themselves to achieve a specific target. Some people will hate the feeling of pressure to achieve sales, and so a more ad-hoc selling technique will be more appealing. But this lack of direction can actually be more harmful to your overall floor space sales. The removed pressure of exhibitor sales may mean that your sales team don’t attempt to reach a wide audience. Without have a specific target to attempt to achieve, you may end up with an exhibition venue that is quite sparse and not well filled. This can mean that your exhibition will look quite empty to your visitors. You want to avoid this because it can damage your branding and credibility. The trap of selling without a specific target is that your sales team can be quite relaxed about selling, and this leads to empty venues and unhappy exhibitors. Both selling techniques have their merits, and factors such as your venue and overall goals for your exhibition will play a role in determining which technique is best for your exhibition. The biggest thing you want to avoid, regardless of which method you choose is having an empty exhibition venue. This will damage your reputation, lead to unhappy exhibitors and visitors and impact on your exhibition results the following year. Your team need to understand that regardless of which method you choose, selling exhibitor space can be a difficult, but important task that should always be executed well.